It’s officially the month of June and with the start of the official summer this week, the weather has gone from cold to very humid and hot fast here in Toronto!! Thou I am not enjoying the humidity too much, but loving the warmer and sunnier weather now to enjoy esp the outdoors. Maybe less humid lol!! My 1st food festival for this pre-summer season that I attended was 2 weeks ago during the first weekend of June was to Niagara Vegfest. 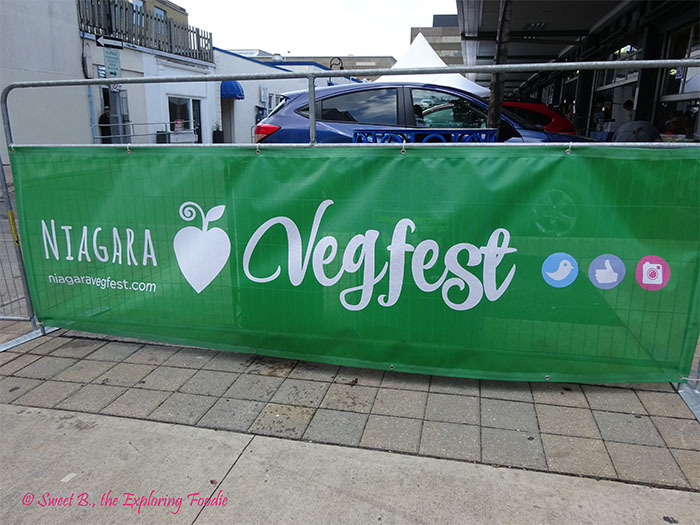 It was my 1st time attending the Niagara Vegfest as I always love visiting Niagara Falls so I thought it would be great to also attend this food festival to see, discover and sample the Niagara Region culinary vegan foods. I had the most amazing and fun foodie day as someone of you may already seen from my Instagram and Twitter posts. I’m happy that the weather ended up being sunny and warm as it was supposed to rain and I got lucky and it only rained in the morning. 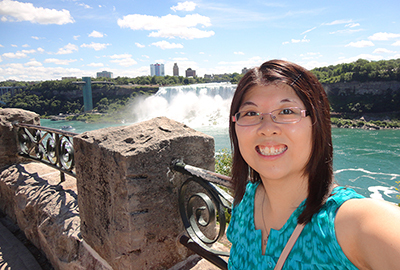 I arrived in St.Catherines by bus that day with a beautiful sunny day and enjoyed every minute of Niagara Vegfest. Overall, I had an amazing and very foodie day at Niagara Vegfest. 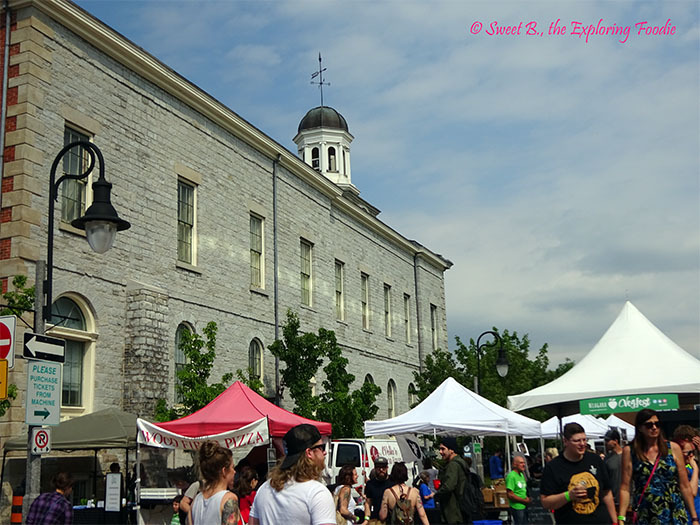 I loved the atmosphere at the Market Square in St.Catherines as this festival was some vendors indoors and some outdoors, which to me is good because I liked the flow of the traffic it gives for attendees when they attended this event. It also gives options for weather if it rained or if it was sunny to have the indoors and outdoors available. 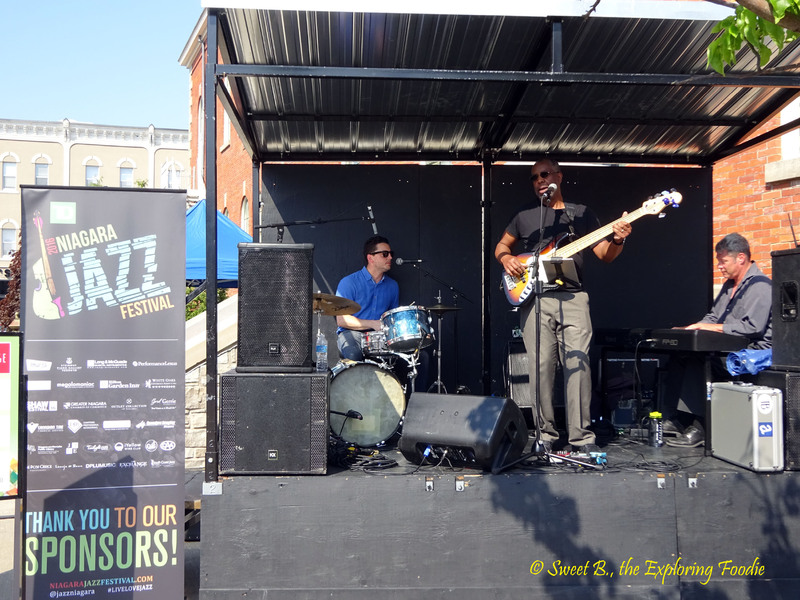 I loved that they had the TD Niagara Jazz Festival Music Stage outside where I was able to enjoy the beautiful jazz music whether I was inside or outside. 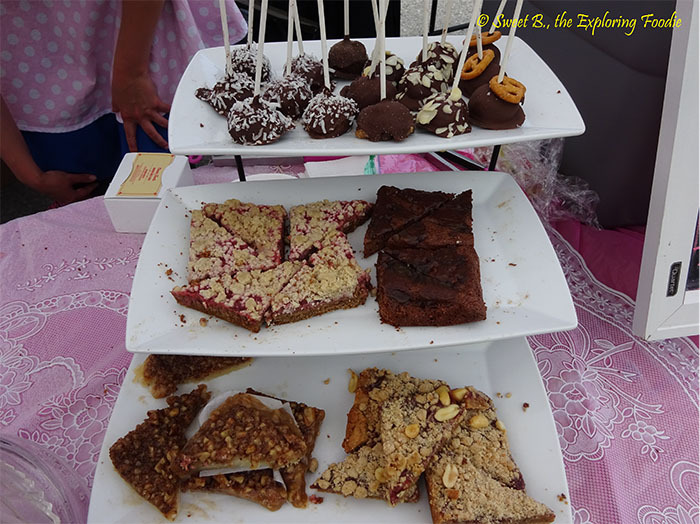 It brought a different element to the festival by adding music and creating a fun atmosphere to the Niagara Vegfest. 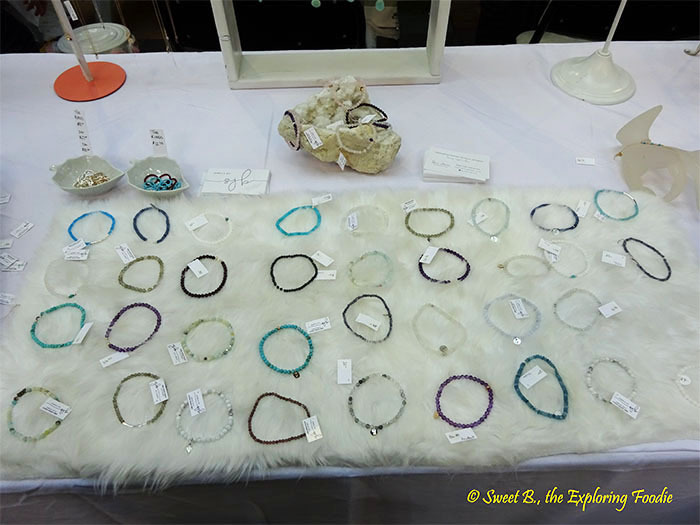 Though I have to admit I was a bit overwhelmed with so many vendors to check out, but at the same time it was great to have a variety of vendors and exhibitors to offer to people. 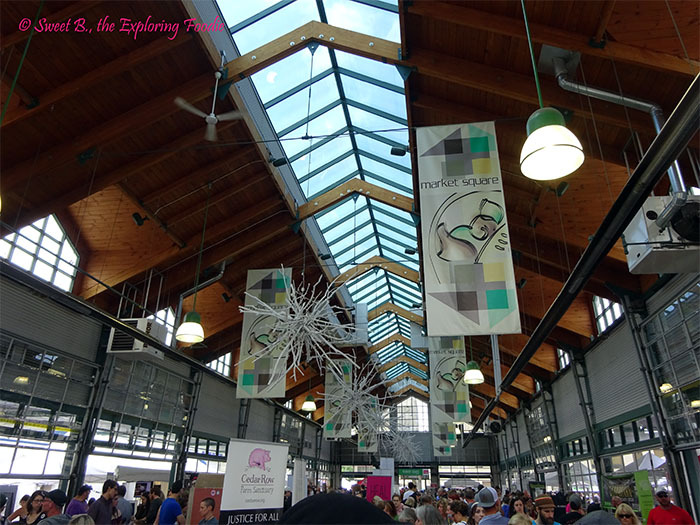 I spent half the day at the Niagara Vegfest as there were so many delicious and yummy foods to sample along with checked out a few non-food vendors. Best pizza sausage roll I ever had, yum, it was crispy the pastry part and the most tastiest sausage inside, loved it!! 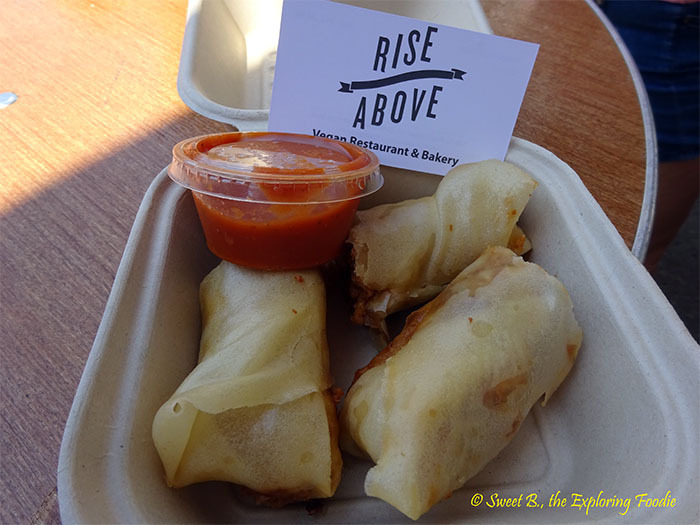 As someone who is now dairy free, it’s hard to find places with vegan pizzas so happy to have stopped and had the most yummiest is that a word lol…pizza rolls by Rise Above Restaurant. 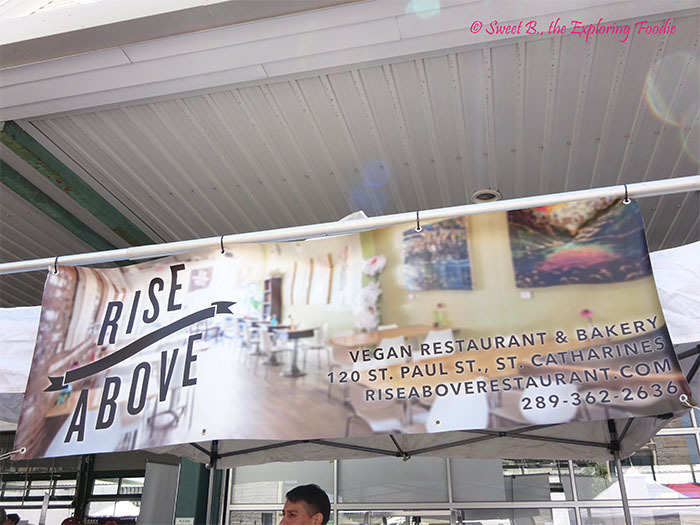 Quick information about Rise Above Restaurant – is the Niagara’s 1st 100% vegan restaurant and bakery. They are located downtown in St. Catherines. 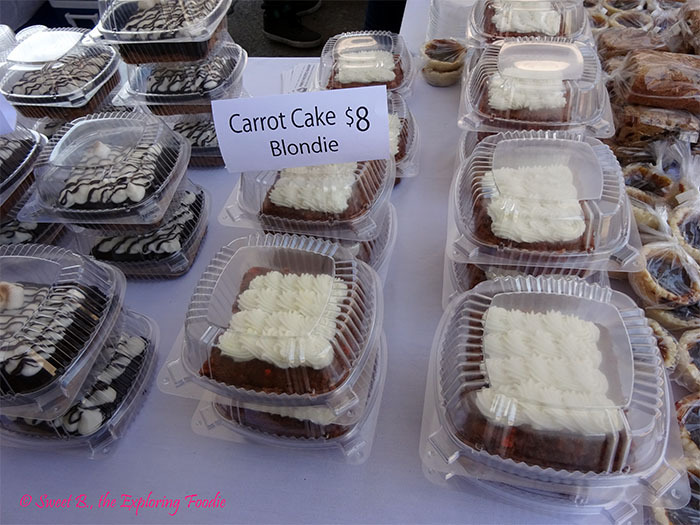 They specialize in comfort foods, healthy choices, and fresh baked desserts. Only wish they would open another location in Toronto, I look forward to stopping by the actual restaurant one day. 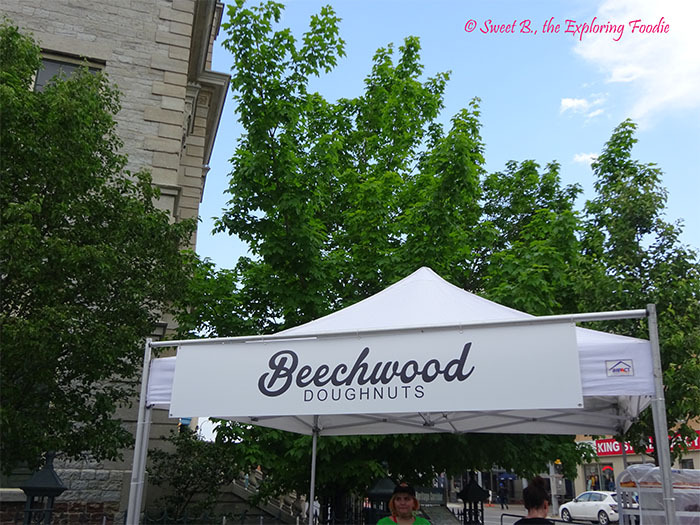 I was so full from all the delicious vegan foods that I had to still get a doughnut from Beechwood Doughnuts as I heard they had the best vegan doughnuts. So I bought one to bring home to eat and chose the Peach Fritter (peaches are one of my fave fruits) and so glad I did lol…Beechwood Doughnuts hands down the best vegan doughnut I ever had!! Wow, I don’t usually eat doughnuts too often, but I would if it is for the sweetest and soft doughnuts that Beechwood Doughnuts make. 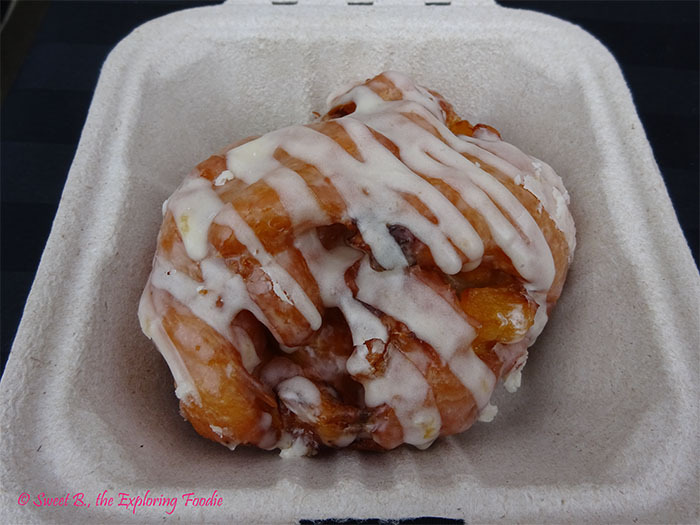 The Peach Fritter the best lol!! If you haven’t tried, Beechwood Doughnuts, you are definitely missing out!! I would definitely travel for these doughnuts!! Quick information about Beechwood Doughnuts – Niagara’s first and only 100% vegan doughnut shop. 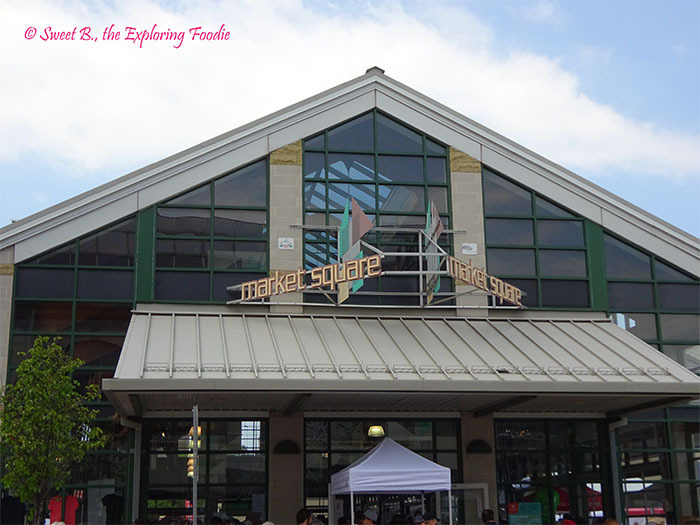 Located in the heart of Downtown St. Catharines. 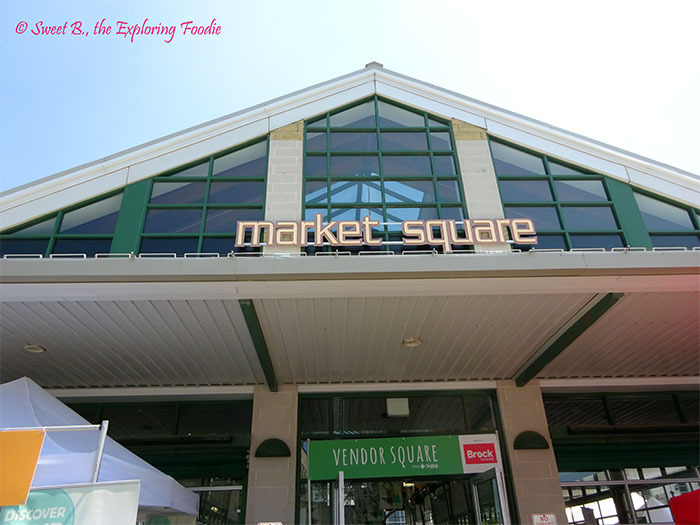 They opened in January 2015 and become popular and have a reputation for quality in the Niagara Region and beyond. 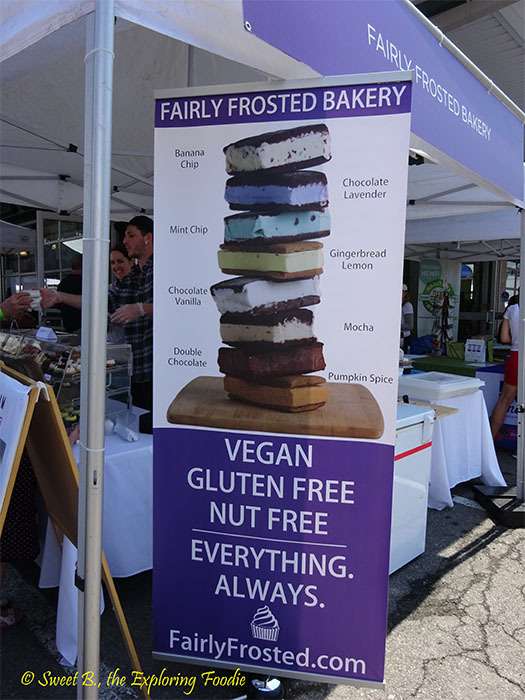 They also won 3 awards in 2015 at the Toronto Vegetarian Association Veg Awards – best vegan bakery, best vegan doughnut and best vegan dessert. 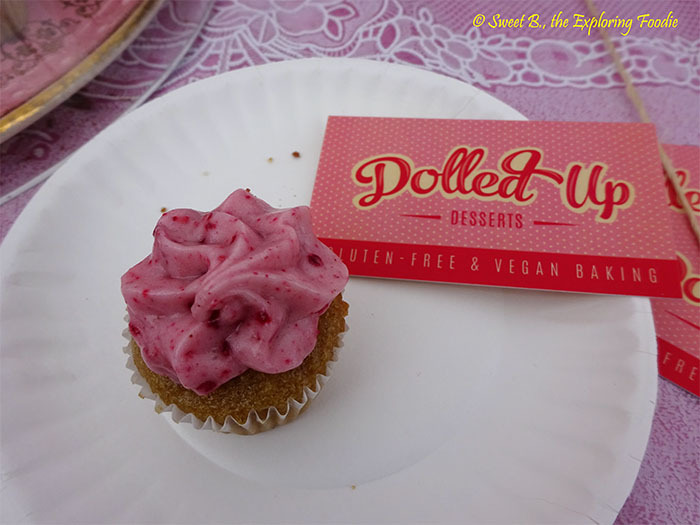 One of my fave regulars is definitely Dolled Up Desserts who I always enjoy visiting at any vegan food festivals and always love seeing what Katarina (Dolled Up Dessert owner) new delicious desserts she has for that day. She comes up with the most delicious vegan and creative desserts, I love it!! She also has the most beautiful display for her booth I love how creative she is! This time I tried her delicious & sweet Strawberry Lemonade mini cupcake. Loved it!! 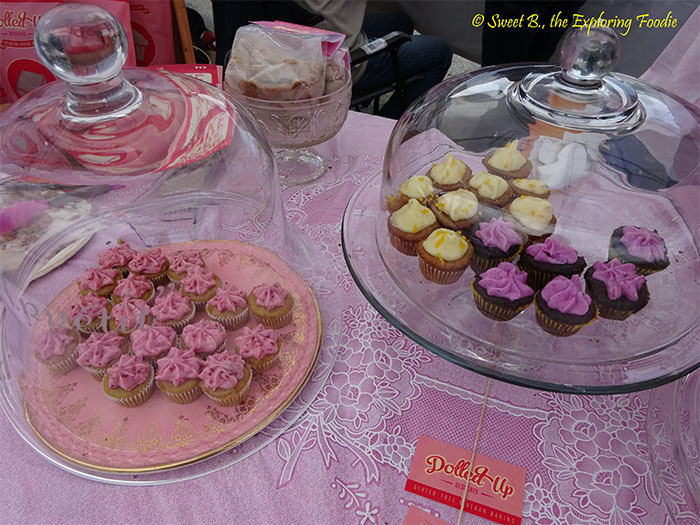 Quick information about Dolled Up Desserts – Her main shop is based in Hamilton, Ontario. 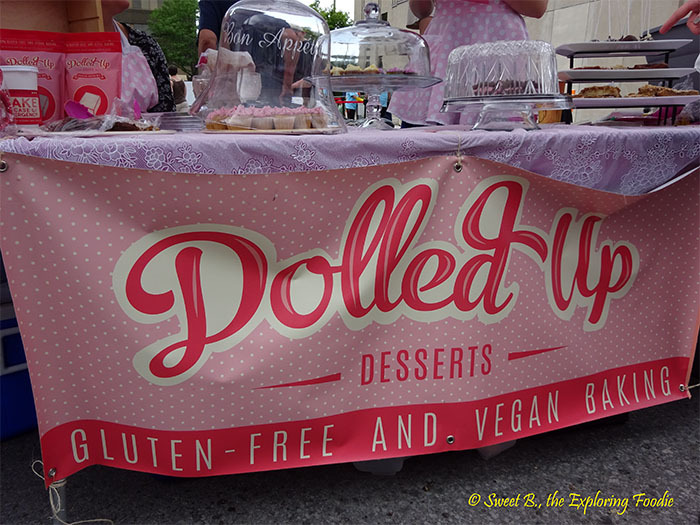 Dolled Up Desserts creates and share high quality desserts that are gluten free and vegan, and are made with 25-50% less sugar, ingredients that are organic, locally sourced. I love cupcakes so it was hard to resist when I saw the delicious vegan cupcakes display at Fairly Frosted Bakery. One of my friends also recommended them so was excited to try them and they had an assortment of different baked goods to choose from. It was hard to choose besides the cupcakes. I ended up choosing their Banana Split Cupcake and it was delicious minus the chocolate topping as some of you might know I don’t eat chocolate I know it’s a shock lol!! The frosting wasn’t too sweet either so it was perfect. 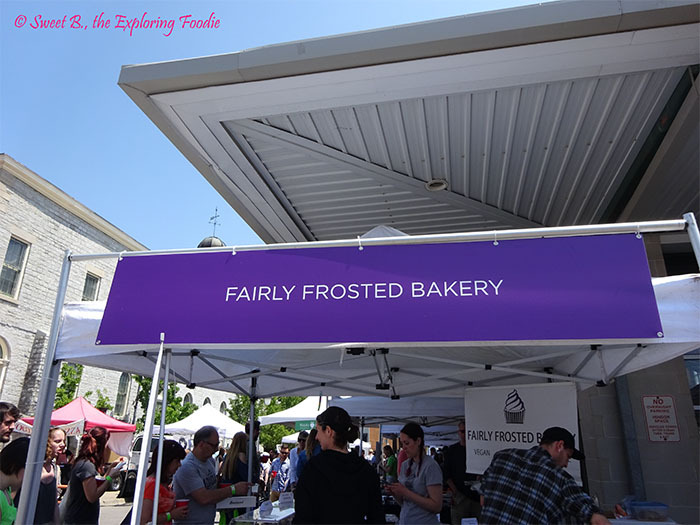 Quick information about Fairly Frosted Bakery – A bakery from Guelph, Ontario founded in 2011. 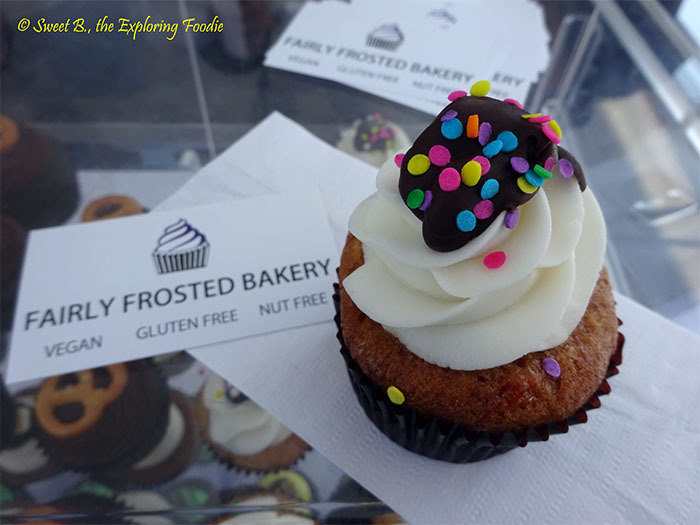 Fairly Frosted Bakery serves vegan, gluten free and nut free baked goods. 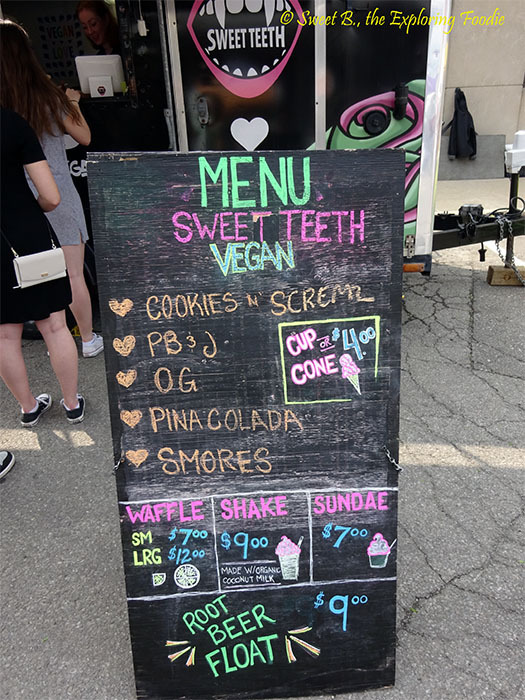 One of my fave vegan ice cream is food truck – Sweet Teeth, which is not mentioned above, but they always been my fave regulars at any vegan festivals. So it goes without saying that I always visit their food truck of ice cream and waffles, yum and this time is no difference. I got their OG waffle, which consists of fresh strawberries, strawberry sauce and of course the ice cream. 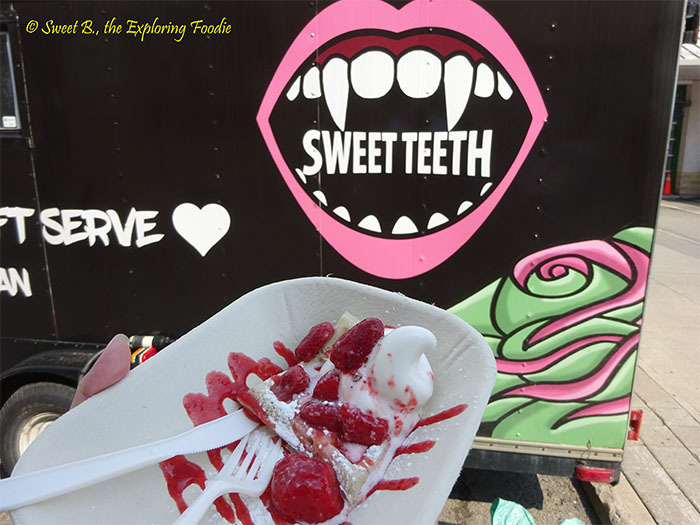 If you haven’t tried Sweet Teeth food truck, I highly recommend it!! This year they also added shakes to their menu and love their new flavours added to the menu. They always come up with new flavours, which is great to see. 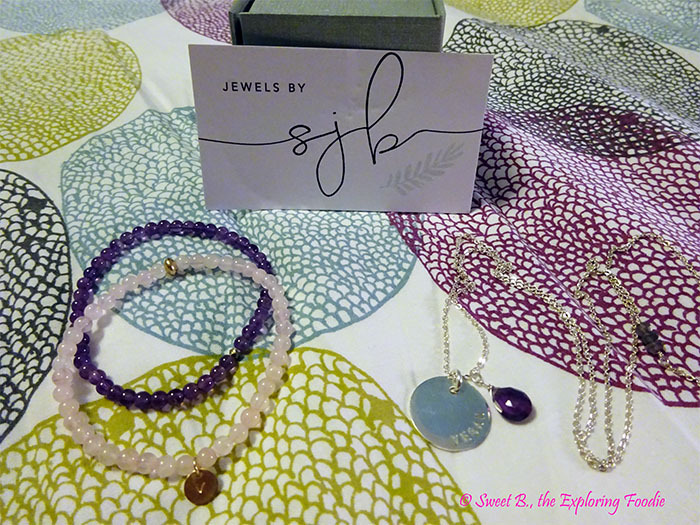 One of my fave vegan jeweler is Jewels by SJB, I discovered Sue’s beautiful jewelry last year at one of the vegan food festivals and instantly loved her unique and beautiful handmade jewelry. Sue is from Toronto, ON and has a collection of hand forged, cruelty free jewels and creating beautiful detailed pieces. 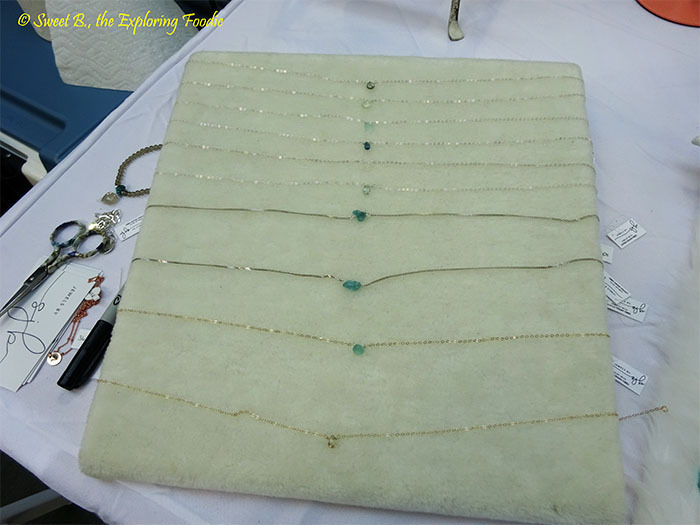 She uses genuine gemstones that includes .925 sterling silver and 14K gold fill metal. She is also a vegan who shares her message through her jewelry. 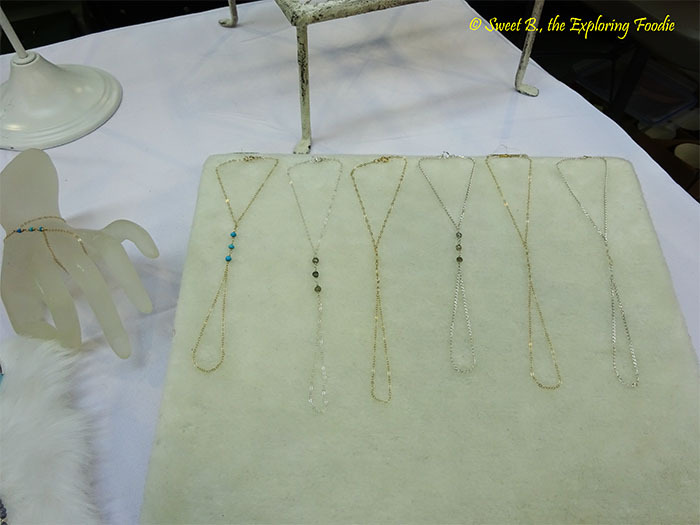 I was excited to visit Jewels by SJB booth and see what new pieces she had this time. I always love seeing what new pieces that she brings to each festival as she makes the most beautiful unique pieces. I ended up purchasing a beautiful purple amethyst gemstone to go with my Vegan necklace as well bought a new rose/light pink bracelet with the letter “v” on it. The new bracelet matches my other bracelet (purple amethyst one) I bought from her last year to make a stacking bracelet. I am happy with my new jewelry!! It is always great to see Sue again, she is always so kind and amazing to me especially if I needed any customizing to her jewelry. I love how she can custom to each customer needs. I look forward to seeing what new pieces she has in the next festival!! 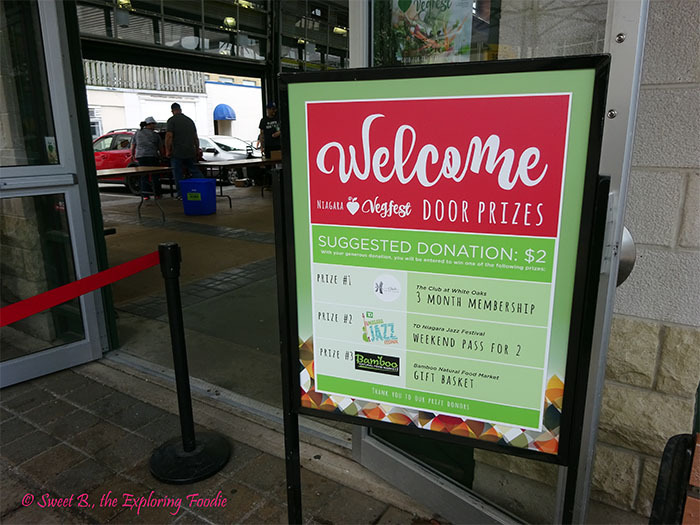 What an amazing 1st visit to Niagara Vegfest filled with delicious vegan foods, desserts, shopping local & unique items, and enjoying amazing jazz music!! 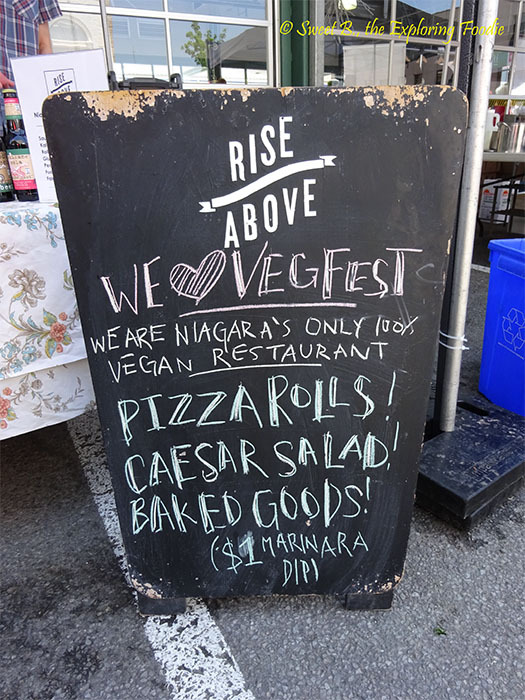 If you didn’t have a chance to check out Niagara Vegfest, I highly recommend to see what delicious vegan foods & to experience this festival yourself at Niagara Vegfest next year. Look out for details on their website (information below)! I look forward to joining them again next year after this fun foodie day!! I can’t wait to see what next year they have planned out! If you managed to read most of this blog post as I know it was a bit long, thank you!! I appreciate you taking your time to read my foodie adventure!! 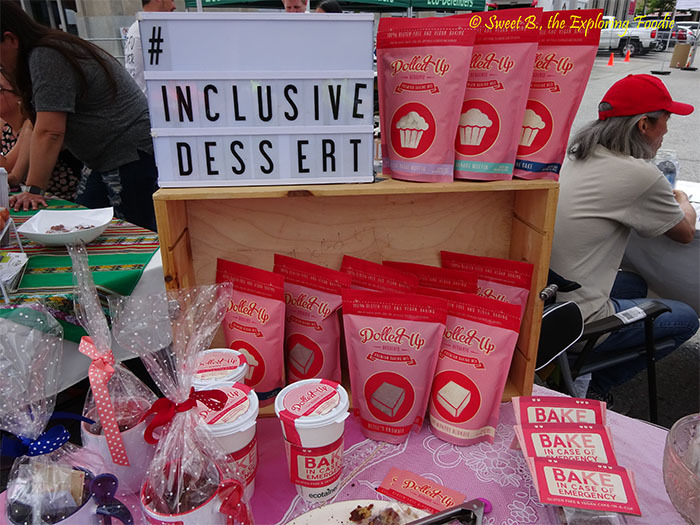 Summer is just around the corner and I’m looking forward to my next foodie summer festival as some of you might already know (from my Twitter and Instagram posts) I have attended my 2nd one just this past weekend! With the busy summer months ahead, I look forward to not just food summer festivals, but also to my mini getaway in July. Don’t worry I still be posting shortly after I’m back. But this summer along the way, I am still searching for my next sweet vegan dessert place!! Stay tuned!! As always, for the latest updates or to keep up with me on my foodie adventures, please follow me on Twitter @SweetBFoodie24 or Instagram @SweetBFoodie24. Until next time, let’s get ready for summer filled with hot weather for foodie summer festivals, cool desserts, travelling and beaches & more!! You can follow them on Facebook @NiagaraVegFest, Twitter @NiagaraVegFest and Instagram @NiagaraVegFest. You can follow them on Facebook @RiseAboveRestaurant, Twitter @RiseAboveFoods and Instagram @RiseAboveRestaurant. You can follow them on Facebook @BeechwoodDoughnuts, Twitter @BeechwoodInfo and Instagram @BeechwoodDoughnuts. You can follow her on Facebook @DolledUpDessertsBaking, Twitter @DolledUpBaking and Instagram @DolledUpDessertsBaking. You can follow them on Facebook @FairlyFrosted, Twitter @FairlyFrosted and Instagram @FairlyFrosted. You can follow them on Facebook @SweetTeethVegan, Twitter @SweetTeethVegan and Instagram @SweetTeethVegan. You can follow her on Facebook @JewelsbySJB and Instagram @JewelsbySJB.